We have been enjoying a summer full of visitors and great eats. 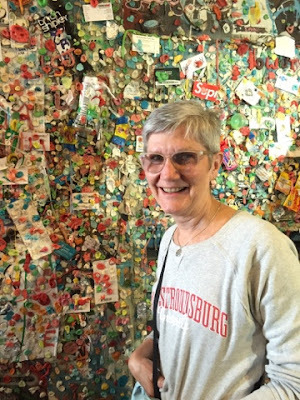 Aunt Slynn stopped by for a few weeks and the adventures were never ending. 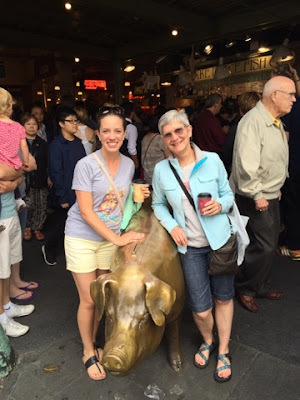 A trip to Seattle wouldn't be complete without a stop to Pike Place Market, a coffee in hand, and a visit to Rachel the pig! My absolute favorite spot in the market is Market Spice. 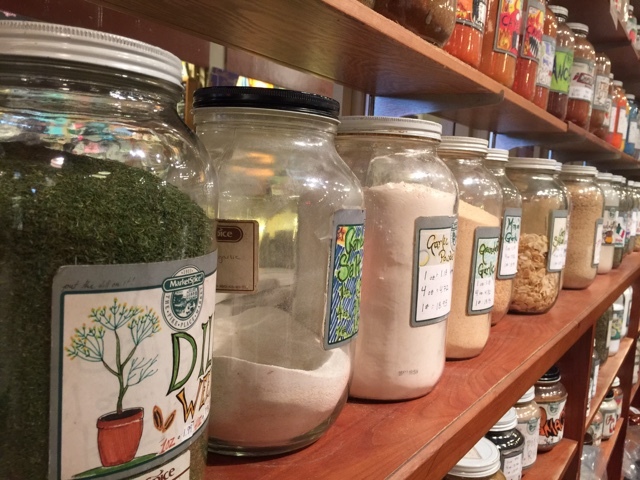 The walls are lined with shelf after shelf full of spices, coffees, and teas. You can buy any of them in bulk or in prepackaged amounts, plus all of the accessories are available there as well. Spice jars, tea kettles, coffee presses, etc. It's incredible. Let's not confused walls lined with coffee, tea, and spices with walls covered in chewed up gum. The gum wall is so gross and so fascinating all at the same time and everyone who visits me is forced to visit and pose here. 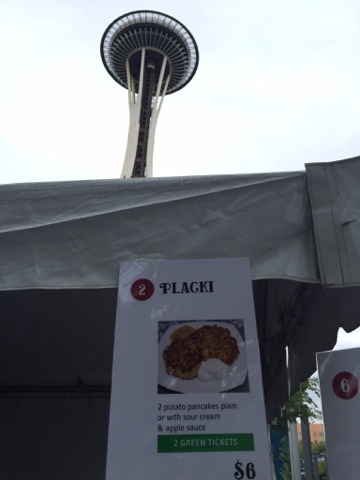 We couldn't miss the Polish Festival at Seattle Center, the campus surrounding the Space Needle. We're not Polish, but my Aunt Slynn and I enjoy the fare of Poland as much as the next Yinzer (Pittsburgher). We pooled our resources and were scrip-rich! 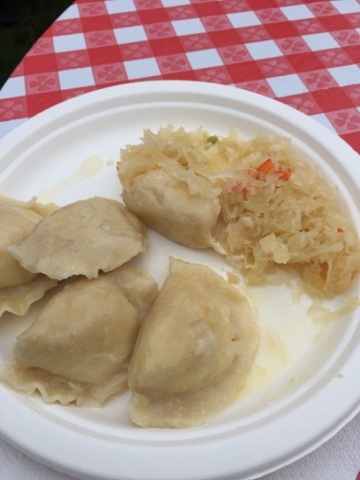 The first stop, of course, was for pierogies. Nothing beats a homemade pierogi, no hard feelings Mrs. T. The starchy potato inside the soft blanket of pasta warmed with butter is a little dumpling from heaven. 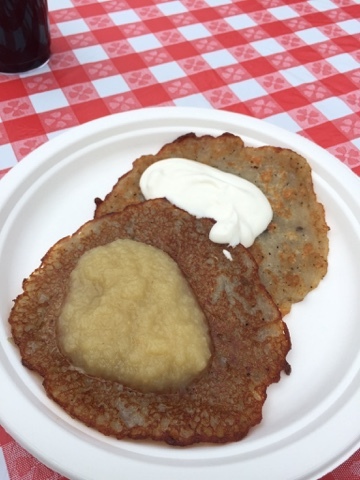 The potato pancakes were also calling my name. Standing in line in the shadow of the Needle makes it not so tedious. 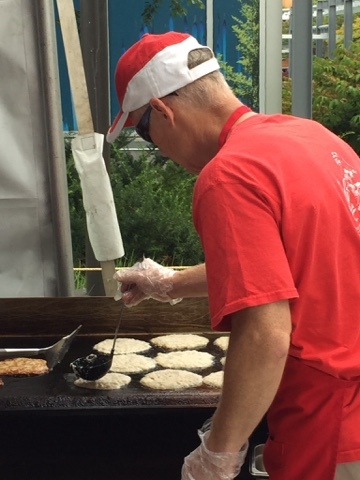 The potato pancake making has clearly been perfected! I love a little variety and a pancake with applesauce and another with sour cream is right up my alley. 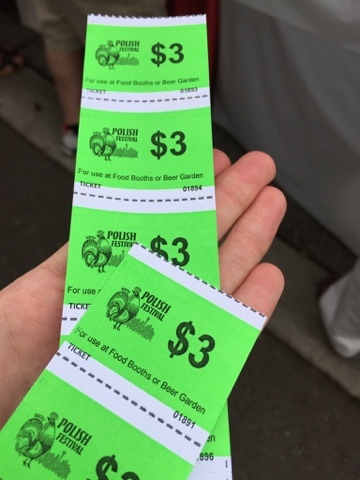 The Polish festival did not disappoint. We're looking forward to a few more months of this lovely Seattle [warm and dry] summer weather and the upcoming Italian Festivals - San Gennaro and Festa Italiana - as well as the Washington State Fair! It was fate to come here at this place. It really paves the way for me to want to go out more. I was fortunate enough to have seen this excellent place with my friends. 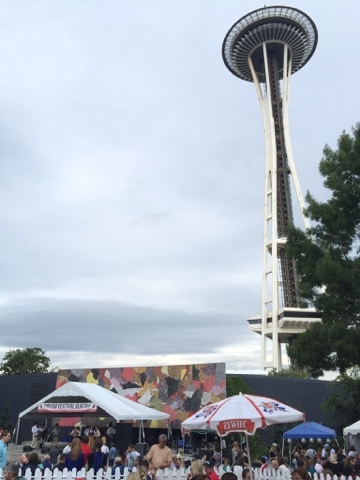 The entire space at Seattle venues feel warm and intimate.